If you always reach for the creamy, zesty goodness of ranch dressing when you're at the salad bar or mixing up some greens at home, have we got good news for you. The old standby has enjoyed a resurgence recently, and it's not just relegated to behind the sneeze guard. With these delicious recipes, you can enjoy one of your favorite salad fixings in new and exciting ways. Think main dishes, appetizers, snacks, and even pasta. Stock up on a few bottles next time you're at the grocery store—or better yet, make your own—we have a feeling you're going to need them. 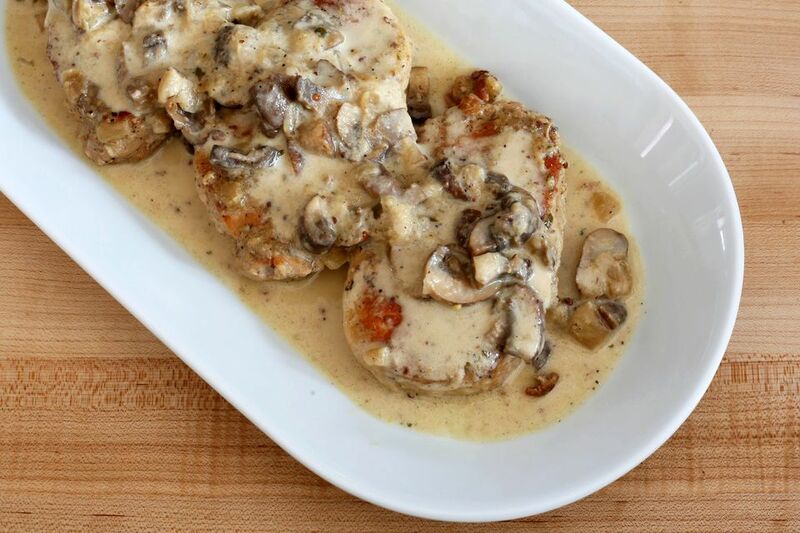 Ranch dressing and mustard are a wonderful combination and make a creamy, finger-lickin' good sauce for tender pork chops. Add chopped garlic for an extra zesty flavor or some chopped celery for brighter color and crunch. Your whole family will love this simple weekday meal. Make chicken wings at home and get the taste of the sports bar right in your own living room. These ranch-infused wings will go great while watching the big game or any casual afternoon gathering or family meal. Serve with French fries and fresh celery and carrots with extra ranch dressing for dipping. Use more hot sauce for a spicier flavor or less if you like a milder taste. 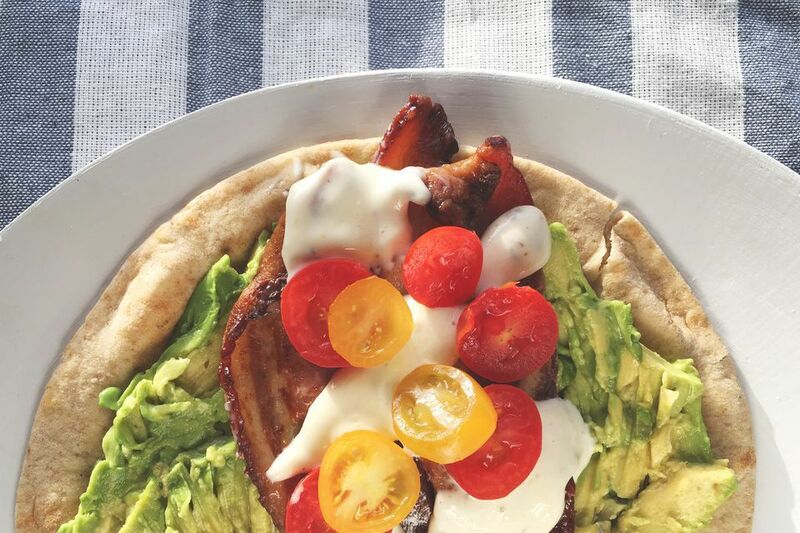 You probably don't think of the classic bacon, avocado, and ranch dressing sandwich as healthy. With this homemade, guilt-free ranch wrap recipe, you can enjoy the classic flavors without worrying about breaking your diet. Ranch gives easy, five-ingredient baked chicken thighs a zippy flavor that's truly addictive. Stash a few packets of ranch dressing mix in your pantry to make this quick and simple dinner any busy weeknight. This recipe calls for chicken thighs, but whole legs or drumsticks would also taste great. Use good-quality crab or imitation crab meat for this tangy, seafood-dip. Ranch dressing gives it a unique flavor and sour cream adds an extra tang. Serve it with a variety of crackers or even baguette slices for a party dip that will delight your guests. Crumbled pancetta and ranch dressing give this easy pasta salad a flavor reminiscent of a hearty club sandwich. If you can't find pancetta, crumbled bacon works well, too. Use fusilli, rotini, or penne pasta and bring it to your potluck, tailgate, or any gathering of friends—it can easily size up for large get-togethers. Combining ranch dressing mix with breadcrumbs gives these succulent chicken breasts a nice crispy crunch. Even beginners in the kitchen can work up the dish. Be careful when working with raw chicken, as it can carry harmful bacteria if you don't wash your hands and utensils thoroughly. Use a slow cooker for this simple potato recipe perfect for a family meal or a big gathering. Because it cooks all day, you can toss the ingredients in the slow cooker, then forget about it while you prep for the party. Toss in some crumbled bacon or diced ham for extra umami flavor. This creamy potato salad with crab meat is the perfect upgrade to a classic recipe. Don't be afraid of the pickles—they add an excellent crunch that will surprise your guests. Use good flaked crab or imitation for the best results. You can also sub in Yukon Gold, Russet, or red-skinned potatoes with the skin on, for slightly different tastes. Ranch dressing adds a zippy note to this easy and delicious chicken salad. It's great over a bed of green lettuce, on a pita or whole-wheat wrap, a croissant, or even on tiny toasts as an appetizer. This version calls for canned chicken, but you can use fresh, diced chicken as well. For a different twist, try it with canned tuna or salmon. Taste chicken wings on a chip with this awesome Buffalo-inspired dip. It's great for a potluck or as an appetizer at a casual party, and you can adjust the heat level by adding more or less hot sauce. Serve it with tortilla chips or small slices of toasted baguette. Crudite vegetables would be a lovely fresh complement. If you don't have a rotisserie chicken, shredded leftover chicken works just as well. Make the most of fresh spring peas or sprightly frozen ones in this fresh and veggie-packed salad. Chopped hard-boiled eggs make a popular addition, and crumbled bacon or diced ham will give it a smoky, meaty accent. Fresh dill or chives would also add a lovely herbal note, either stirred in or sprinkled on top as a garnish.